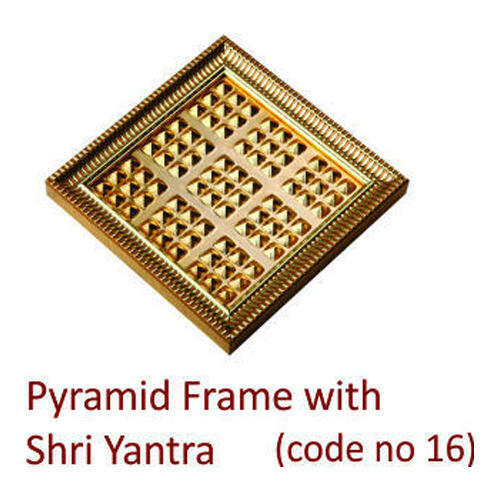 Being a customer oriented enterprise, we are engaged in providing a wide array of Vaastu Pyramid Frame Yantra. Incorporated in the year 1998 at Mumbai, (Maharashtra, India), we “TATHASTU PYRAMIDS” are, known as the reputed manufacturer, wholesaler and retailer of a high-quality range of Vastu Pyramid Yantra, Swastik Pyramid, Pyramid Pendant, etc. Under the management of “Dilip Shah (Director)”, we have achieved the remarkable position in the industry.